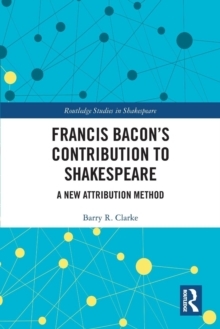 This book offers a theoretical rationale for the emerging presentist movement in Shakespeare studies and goes on to show, in a series of close readings, that a presentist Shakespeare is not an anachronism. Relying on a Brechtian aesthetic of "naive surrealism" as the performative model of the early modern, urban, public theater, James O'Rourke demonstrates how this Brechtian model is able to capture the full range of interplays that could take place between Shakespeare's words, the nonillusionist performance devices of the early modern stage, and the live audiences that shared the physical space of the theatre with Shakespeare's actors. 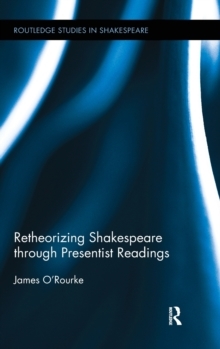 O'Rourke argues that the limitations placed upon the critical energies of early modern drama by the influential new historicist paradigm of contained subversion is based on a poetics of the sublime, which misrepresents the performative aesthetic of the theater as a self-sufficient spectacle that compels reception in its own terms. 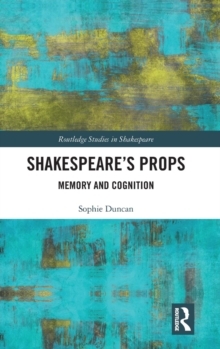 Reimagining Shakespeare as our contemporary, O'Rourke shows how the immanent critical logic of Shakespeare's works can enter into dialogue with our most sophisticated critiques of our cultural fictions.